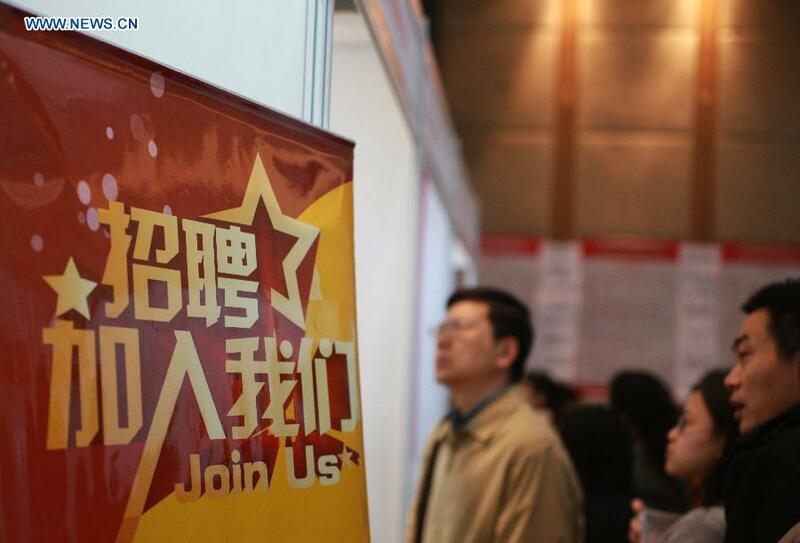 Beijing is stepping up its efforts to land top talent from home and abroad as it faces tough competition not only from major international cities but, increasingly, from other cities in China. The capital has announced a raft of incentives aimed at attracting high-level experts as it looks to bolster emerging industries, particularly in high-tech sectors, and ensure sustainable economic development. But it is not the only one. Shanghai and Shenzhen - megacities with equally strong demand - have both unveiled similar policies, while second-tier cities including Nanjing, Hangzhou, Xi'an and Qingdao have launched their own ambitious efforts to build world-class workforces. Some smaller cities are even beginning to surpass their bigger domestic rivals, according to Guo Tao, CEO of the Shanghai-based headhunting company Connected-R International. "A large number of talented people - in the IT sector, for instance - prefer Hangzhou over Beijing, based on our experience," he said. "In the past, Beijing has made efforts to introduce talent from the United States and Europe, but I believe it has slightly neglected domestic talent, as compared with other Chinese cities." The Beijing Employment Service Center estimates that 51,000 jobs will open up in the capital during the first half of 2018, with the Beijing Economic-Technological Development Area and three science parks - in Zhongguancun, Huairou and Changping - accounting for 37.6 percent of the demand, up by 7.8 percentage points over the same period last year. However, 15 percent of vacancies will remain unfilled by the end of June, of which 86 percent will be in the service sector, including information, software, business services, scientific research, modern manufacturing and real estate, it said. Last week, the Beijing government pledged to provide top-level workers from home and abroad with permanent residency, which would allow them to buy an apartment as well as enjoy social welfare. The talent targeted by the capital mainly consists of professionals with high-level education or scientific background and innovators participating in key national projects. "Scientific innovation, finance and culture are industries that Beijing should focus on instead of labor-intensive industries," said Tan Xuxiang, head of the Beijing Development and Reform Commission. The city's two major strengths are technology and talent, Tan said. On Monday, Shanghai announced that high-end individuals, together with their families and core team members, can qualify for permanent residency, an indication of the city's determination to compete with Beijing and other major cities. Meanwhile, Shenzhen is directly providing financial incentives to get college graduates to stay in the city. Undergraduates can get a one-time payment of 15,000 yuan ($2,400) if they stay and work in Shenzhen after graduation, while those with doctoral degrees can get 30,000 yuan. Second-tier cities are trying myriad ways to attract talent. Nanjing, Jiangsu province, provides 1,000 yuan for job seekers who take part in interviews in the city, while Xi'an, Shaanxi province, has streamlined procedures to allow students to apply for permanent residency using only a student ID or national ID card.